Your website is an investment. But what time horizon are we operating on? 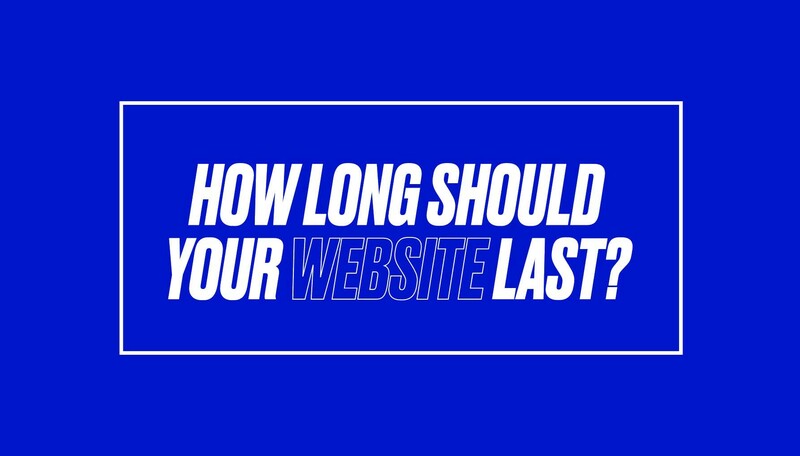 How to think of investing in your site over different time periods and for different reasons. Back in the olden days, websites were simple. Or at least, it seems like they were. We essentially just had content files, and the content management system was your FTP and a text editor. Over time we started abstracting these files, storing content separately in databases and creating applications to retrieve and display this content based on the rules we described. Presentational logic was sometimes separate, sometimes all mushed together with the rest of our site’s functionality. I’ll spare you the oral history of that time. It’s safe to say we’ve moved on, and now a few generations hence the web can be a very complex place. Now we have “platforms”, a term that can be used very broadly but which I’ll use here to describe the ecosystem of content, user experience, editor interface and associated tools like authorization, analytics, transactions and their delivery and distribution methods. These platforms can be humongous applications with many tentacles and different vintages of tech and integrations, or it could be something as simple as a WordPress blog. But if it’s a content platform, it’s got those three core layers**: content storage, content management interface, and forward-facing user experience. Each of these layers is a dependency on the other. In order to have a great site that works for your business, your producers and your users they should be working harmoniously. But they don’t all need to move in lock-step, and in fact they probably shouldn’t. This is your warehouse. This layer should be rock solid and play nicely with the other layers, be secure and serve as the foundation for your digital content. This is your database of content, its relationships, metadata and the long tail of your content operation. Investment in this system is a capital improvement, it’s core to your business and it should be around a good, long while. Content Management Interface: 3–5 years. Seasoned web producers will laugh at this. Unless they work at a cutting-edge publication or have recently upgraded their tools, they’ve been using interfaces older than dirt for way too long. These are the interfaces that editors, writers or producers refer to as “The CMS,” and are historically terrible. Too often they’re more like database editing tools and less like human-oriented tools to empower creative content producers. This layer is more directly connected to the content storage layer, but it doesn’t have to be completely dictated by it. We should look for ways to make the content creation process smooth and unlock the creativity of our content producers. Editors are users too: a great content creation interface will lead to a great user experience for your audience. But this layer is also very tightly integrated with your organizational structure and your workflows, which unless you are a very small operation take some time to change significantly. Your tools should reinforce your workflow, and not the other way around. People are very adaptable, but we’ve seen too many workflows or processes dictated by the tools available. Watching a smart producer outline all the clicks it takes her to update a story or the hacks and workarounds in order to post a video is very painful, and an indication that your tools are out of sync. I think this layer has the most opportunity for innovation, but that’s a story for another time. This is what most people think of as their “website.” But it’s really just the window into the content that your users experience, allowing them to read or watch or listen to the content you’ve created and stored. Your user’s technology experience is constantly evolving, based on trends, patterns, software updates or hardware improvements. These cycles move much faster than any of the other layers, and they should. This doesn’t mean you should radically redesign your site every year and a half, but you should be constantly evaluating your UX and updating and improving it in a cycle of iterations. As you think of new ways to present your content or new ways to tell your stories, you’ll enhance your users’ experience and start to see patterns that bubble up into improvements in the Content Storage and Content Management interfaces. What does this _actually_ look like? If you’re like a lot of people, all these layers are all bundled together. This is the way things have worked for a long time, and various content management systems reinforce this notion — a traditional content management system controls all three of these layers, and they move in lock-step. You shouldn’t wait seven years to update your user experience, and the challenges and problems you’ll address in a project like that are very distinct from those that’ll come up in a content storage project. Mashing them together can result in unfortunate compromises across the stack. Some of the work we’ve been doing lately separates these concerns and allows our clients to invest in each layer independently. On the content storage side, maybe you’re using Drupal and have no intention of performing a costly CMS switch, not to mention content migration. That’s fine, let’s just figure out how we can keep it in place and build smart layers to interact with it as a content warehouse. We can build a better creation/curation tool that helps editors add and edit content, and we can build a better user experience that’s not just a Drupal theme. By interacting with the content store via API, you separate the concerns and build more durable content tools and user experiences. We’ve been doing this with Drupal, WordPress, Contentful and other CMS, while building front-ends with Ember, React or just simple templating layers like Twig. Our clients have gotten in on the action too, building the tools they need to interact with their content stores and power their front-ends. If you invest in your platform in the right way, you can make your resources go further and better serve your audiences. Make big foundational updates to the core content storage platform less frequently, but work on evolving and improving your content creation tools and user interface on shorter time scales to keep up with the pace of innovation. **Note for the nerds — I’m deliberately simplifying the layers of the website for clarity, I know there can be a lot more to it than this when we get to delivery and distribution, caching, CDNs, and all that business. Principal, Creative Director at Upstatement.com. Artist, guitarist, maker and breaker of things.